There's nothing quite like visiting a province you haven't been to before, and Korat (Nakhon Ratchasima) is a place I'd thought a lot about in the past. Korat's location makes it unique on a few levels. Firstly, because Korat marks the start of the Northeast of Thailand, commonly referred to as Isaan. Secondly, because it isn't that far from Bangkok – which makes it hard to believe you're in Isaan when only an hour ago you were passing Pathum Thani, and thirdly because people from Korat have a slightly different dialect known as Thai-Korat, which is different from Thai-Isaan. Even though Korat is technically Isaan, like many areas of the Isaan region it boasts distinct differences. Ignorantly, many people – foreigners in particular – tend to lump Isaan into one pot, forgetting that the region's land mass makes up for pretty much half of Thailand, contributing 26 million people to the population. Isaan is a flavorsome mix of heritage. Trek across the provinces and you'll find Chinese immigrants, many of whom have settled in the bigger cities like Khon Kaen, Korat and Udon Thani, the Phu Thai, who are a mix of Vietnamese and Laos descent and still live largely by the land in more rural areas. 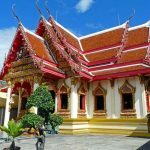 Head up to Nong Khai and Loei and you'll find people with a purer and head down to Buriram and Sri Saket in south Isaan and you'll find Khmer-speaking Thais with Cambodian linage. People often loosely say that “Isaan people are from Laos”, but when you travel the region it becomes clear that there is a hugely diverse mix of heritage, and people can look very different from province to province, not to mention that there are 14 languages spoken by varying groups across the region. Moreover, the term “Isan” was derived from Isanapura, the capital of the Chenla kingdom. Chenla was a name designation given to Cambodia (not Laos) by the Chinese. It therefore goes without saying that anyone seeking to understand the origins of the ‘Thai' must look back to the early Chinese migration into Laos, and to the early Laos, Thai and Khmer kingdoms. 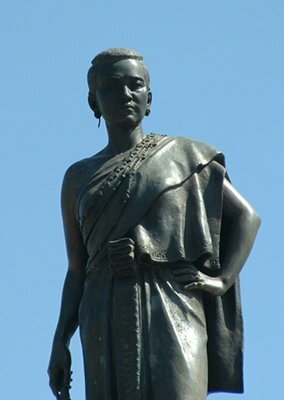 Anyway, I'll leave the Isaan history for another post because it wasn't my quest to learn more about Thai heritage, or even about the heroic adventures of Khun Ying Mo – wife of the Deputy Governor of Korat during the reign of King Rama III, who managed to save the city from the invasion of the Laotian army led by Prince Anuwong of Vientiane (more on Wikipedia) – that led me to the city. Sadly, it was my mother-in-law's illness. Just after I married back in December, she developed ovarian cancer. I won't get into all the details here, but long story short; because the waiting lists were too long in Bangkok and Khon Kaen she was moved to a hospital in Korat for 8-weeks for chemotherapy and radiotherapy. And so the wife and I went to stay in Korat for a week to be with her. She's holding up well, and as always was chuckling along at my attempts to speak Thai, and at my stories of her daughter moaning about my general unintelligent male actions. And so we were there in Nakhon Ratchasima, home of the famous, intelligent, playful Korat cat breed, locally known as Si-Sawat. Hospital visiting hours are set at 1-6pm, which left us with time to explore a little to take my wife's mind off of her mum's illness for a while. Straight off the bat I'll tell you I love Korat. The taxi drive there was awesome (2,700 Baht, by the way). Passing by picturesque Saraburi (ignoring the factories), seeing the Phu Phan mountains that divide the Korat Plateau, the Lam Tha Khong river and a beautiful white temple (I don't know the name) was a massive breath of fresh air having been back in Bangkok two weeks since returning from Vientiane (Laos). BKK has been an inescapable oven of late. We caught a coach back to BKK in the end because our driver wasn't available. I am not a coach fan but I'm glad we did. The journey took 3.5 hours and we got to see the sunset over the Phu Phan mountains. Well worth 442 Baht for two. Coaches leave every 20 mintes or so, so just turn up at the station when you're ready. Try to leave after 5pm though so you miss the Bangkok rush hour, otherwise your trip might take 5+ hours. 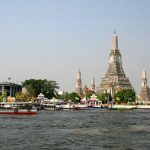 The city itself was much cleaner than Bangkok and the slim figure of 150,000 or so residents makes for calmer roads and clearer walkways. The city presents a balanced mix of Bangkok style business and the laid back Isaan approach to life. This makes it just about the perfect place to live in Thailand, except there's no beach…bummer. If there was no doubt many more expats would end up there. There are plenty of spots to eat and “do coffee”, too. We found a lovely cafe-restaurant with an indoor zen garden opposite our apartment that served breakfasts, steaks, coffees and smoothies, all in the comfort of mist-fans and free WIFI. There are also plenty of Thai ran ahaan dam sang (order anything type of Thai restaurant). From Tuk Tuk drivers to shop owners I found the people generally pleasant, as one does in Thailand, particularly going North/Northeast. The mother of the cafe owner we visited daily was a lovely Thai-Chinese lady who sat chatting with us regularly, making us feel very welcome. Similarly, the reception staff at our apartment bent over backwards to ensure we had a comfortable stay. There was one funny incident worth a mention: a male 7/11 staff member inside the hospital grounds became too shy to serve me on two occasions. I wasn't sure if he thought I couldn't understand the pricing or whether he was scared of foreigners. Either way he insisted on whispering to another lady to help out. I guess not many foreigners visit a government hospital in Nakhon Ratchasima. Understandable. One thing that really stood out in Korat was the younger generation 20-30 year olds. It seems like a really “young” city – even more so than Bangkok. Not a minute passed without a young entrepreneur pulling up on the side of the road outside their shop/business in a nice new car. Perhaps it was just where we were staying, but people seemed busy and involved, and business in Korat seemed to be thriving in every corner. A trip to the night market further consolidated this. Many of the sellers were clearly day-jobbers who had stacked the boot of their cars with clothes, or the latest miracle skin cream, and set up shop for a few hours of evening trading. The city really felt like it was a place going through a boom period. Onto the mall and we could have been in any area of Bangkok, albeit cleaner. The usual suspects were there; KFC, Sizzler, S&P, Svensons, McDonald's, Big C, etc. Wholly convenient when you're desperate for a bite and don't want street food. Even though the mall mafia is hell bent on constructing a mall on every bit of available land in Thailand, Korat pleasingly still boasts many local markets. I got my hands on some delicious yellow watermelon, a type I rarely see in Bangkok. We bought lots of fresh fruit for my mother-in-law and ensured she was fully stocked for the week to come. With limited time I managed to squeeze in a visit to see Khun Ying Mo, but didn't make it to Wat Sala Loi, or the old US air base, which would have been interesting to see. Next time. The only complaint I have about Korat is that apart from outside the mall, meter taxis are hard to find. For a fairly big city I would have expected more taxis, but then most residents seemed to have cars, and maybe the population doesn't warrant flooding the place with yellow beepers. We pretty much had to take Tuk Tuks everywhere, which is a bit frustrating in the dense heat. It's 50 Baht for a standard journey – how many kilometers that extends to, I don't know. When it's a bit more than the standard journey the amount is bumped up to 70 Baht. We paid 140 Baht to the night market, which was approximately a 15-minute ride from our accommodation. Accommodation- Where to Stay in Korat? We opted for pay per night over a lump sum hotel booking because we weren't sure if we'd need to stay longer. We rented an apartment at a place called the Diary Suite on Champuak Road. For 1000 Baht we had a huge room with a massive flat screen TV, bath, shower, fridge, the lot. They also had rooms at 800 Baht and 500 Baht, which were fine but I wanted the light of the big window and the sofa space to work a little. Next door to us was the V1 Hotel, which starts at 1,500 Baht a night and would have perhaps been a better option because you get breakfast thrown in. We dined there one night and it was pretty impressive. The food was average but the decor very cool. Staff were friendly and the pool area was worth the price tag. This wasn't a holiday, and of course our priority was visiting my mother-in-law and spending as much time with her as possible. However, I hope this has given you an overview of what to expect in Korat, Nakhon Ratchasima. I enjoyed seeing Korat and meeting some of the city's lovely people, and look forward to going back to visit Khao Yai national park when my mother-in-law has been given the all clear. Fingers crossed. For 25 exciting things to do in Korat, check out this post. Cabs can be found in abundance at the new bus station. Most cabs are summoned by phone so jotting down phone numbers you see on passing cabs will probably get you a cab faster than anything. Peter: I Forgot to include this in my first comment. You mentioned in your post that Korat seemed to be a very "young" city . . . much like Bangkok. That is one of the things that really stood out to me when I was in Bangkok from January to April. Everywhere I went . . . and I mean everywhere: on the BTS, in various Coffee Shops, in the shopping malls like Paragon, in the restaurants, etc. etc. . . . Bangkok seemed to be just teeming with young people (20's - 30's) . . . not to say that I never saw older people 40's - 50's and up . . . . of course I did. But TL, at least what I could see of it, appears to have a very young demographic, or perhaps the older Thais just tend to stay home (I guess they leave their "wild and adventurous years" behind pretty quickly over there and take up a position on the couch, on the porch, or in front of the T.V. . . . anyway, I would be interested in hearing your perspective on this . . . was it just my imagination . . . or are there just a whole lot of young people out and about in those amazing cities . . . in that beautiful country. Hi Brian, thanks for your kind words. My mother-in-law is back at home recuperating. That's the bulk of the treatment out the way, so hopefully we'll hear some good news soon.You're right, Bangkok is thriving with young people. I am not sure of the city's demographics, but loads of boys and girls from all over the country come to study in BKK because of the abundance of universities. I think many choose to stay on and work in the city post graduation, creating a younger population. Korat also has a big university, as does Khon Kaen, places where the "young people" vibe is also very apparent.Being nearly 35 now, even I feel a little old at times in the malls and coffee shops :). But I think that's a great quality of the city; that it makes you feel alive, no matter your age. There's also loads going on for young people; shows in and outside of malls, art exhibitions, thriving music scenes, etc, which, like London (where I'm from) makes for a cool place to live. Just yesterday I went to the BKK art and culture centre opposite MBK. They had a Rangsit University photography exhibition on and it was just stunning. There is so much artistic talent here. I think the city and country as a whole will start to product some famous names on a more global scale over the next ten years. Peter: I hope your mother-in-law is able to recover from her illness. I know she has a difficult journey ahead and I hope you and your wife are able to visit her often to help keep her spirit up. The youthful energy of a loving couple will, I am sure, always be a welcome surprise for her. Thanks for the review of Korat - sounds like a pretty cool place. I will probably check it out when I get back to TL. Continued good luck to you and your wife in all things. I'm sorry to hear about your mother-in-law. I wish her a speedy recovery! It's a shame she has to travel so far to get treatment, being around family and at home has a huge impact on the recovery process. Thank you Gina. She's a tough woman, I am sure she'll pull through. There are so many people needing cancer treatment that some hospitals simply can't accomodate, especially when someone needs urgent treatment over a month or two. To be fair to the Thai health service they have acted quickly and done the best they can.